An inactive spacecraft will swing past Earth in August, and private space flight enthusiasts have policies to put it back to work. 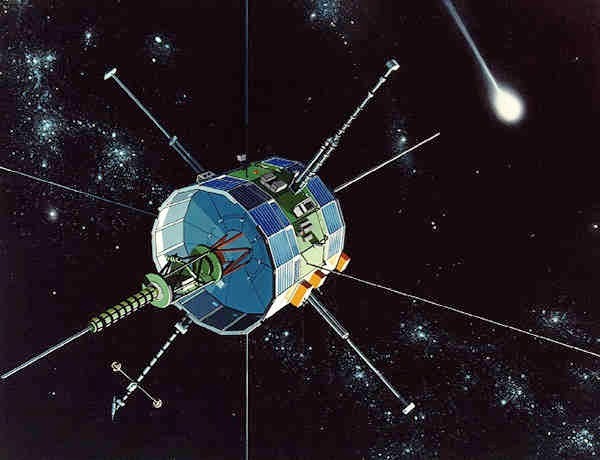 The International Sun/Earth Explorer 3 (ISEE-3) was a combined US and European spacecraft launched in 1978. It was originally installed to the L1 Lagrange point, a spot between the sun and Earth where the joint gravitational forces of the two massive objects efficiently holds smaller objects in place. From this vantage point, the spacecraft studied how charged particles from the sun, called the solar wind, affect Earth's magnetic field. In the mid-1980s the spacecraft also had a career as a comet hunter: It was sent into orbit round the sun and directed to pass through the ends of comets Giacobini-Zinner and Halley, gathering data on their configuration. The spacecraft was organized to shut down in 1997.